Lives and works in Bratislava (SK). 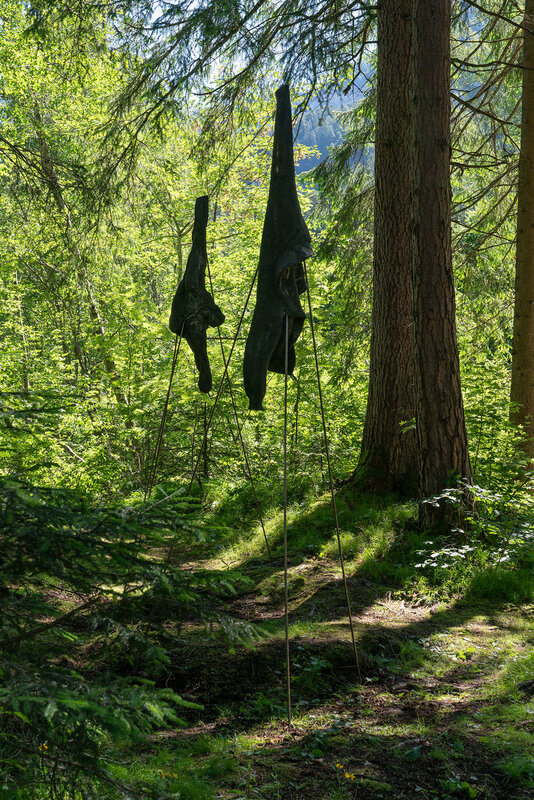 A series Absolute presents silent anti-monuments - sculptural versions of the mountaineers’ belongings, fetishizing their presence through the items of typical high mountain clothing which protects the climbers against extreme wind and low temperature. Papčo personalizes as well as mythologizes his protagonists, emphasizing the ethical and corporeal aspects involved in the challenge of a vertical space. The mountains appear as simultaneously a physical/ethical entity, a site of an extreme existential experience, as well as a mythical construct - a phantasmagoria, a desire, a dream, a mental excess. Papčo’s post-romantic take at the solitary gesture of mountains’ climbing transmits an act of learning from the mountains (as well as from the other natural phenomena, such as the sea or oceans), as an act of resistance and collectivity, described by the philosopher Michel Serres as follows: “In the high mountains, my guide taught me the comfortable cold. ‘If you curl up into a ball’, he said, ‘if you defend yourself and get dressed, the enemy will penetrate down to your liver: cold is more invasive than you. No. Present yourself, uncover yourself, go toward it, make it your friend; it’ll respect you. Turn the against into a for.’ Yet without going beyond the lethal limit.